Florida is a boater’s paradise, with nearly 1,200 miles of coastline and 11,000 miles of rivers, streams and waterways. For many people, boating and booze go hand-in-hand. Although passengers can drink on a boat (unlike those in a car), but operating a vessel while impaired is illegal. 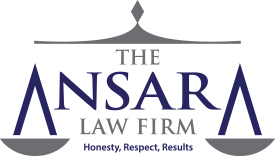 The Ansara Law Firm’s Fort Laurderale BUI defense attorneys know this is an offense authorities crack down heavily on because Florida leads the nation in the number of annual boating deaths. Florida’s Boating Under the Influence “BUI” law, found in F.S. 327.35(1) sets similar standards to the DUI law, found in F.S. 316.193. Penalties too are generally the same. That said, there are some key differences between BUI and DUI cases, both during the investigation and the defense preparation. Florida has nearly 930,000 registered vessels, according to the Florida Fish & Wildlife Conservation Commission (FWC). The average number of reportable boating accidents over a recent five-year span was 705. We have more than double the number of boating accidents as California, which was ranked No. 2. However, the number of BUI arrests is much higher because not every incident of BUI involves a boating accidents. In fact, the majority do not. The agency’s Uniform Boating Citation Summary reveals that in a single recent year, the FWC issues an average of 300 citations yearly for operating a vessel while impaired or under the influence of alcohol. However, that’s not the only agency patrolling the waters. Most police agencies – including the Fort Lauderdale Police Department and the Broward County Sheriff’s Office – have marine units that regularly patrol, especially during holidays. The U.S. Coastguard could be involved too. Federal law prohibits BUI and gives the Coastguard jurisdiction to enforce that law off the coast of Florida. Most of the BUI arrests made closer to the shore or on lakes or rivers typically involve local law enforcement agencies and are prosecuted in state courts. You had a blood-alcohol or breath-alcohol concentration that exceeded 0.08. If you are under the age of 21, prosecutors will only have to show your BAC was 0.02. When more than one person is on a boat, determining – or proving – who was in operation of the vessel may not be a simple matter for prosecutors, unless there is solid physical evidence or compelling witness statements. Many of the same defenses that might apply in a typical DUI case could be utilized in a BUI case as well, such as insufficient evidence, rising BAC or faulty field sobriety tests. However, there may be key differences too. The first major difference between BUI and DUI has to do with lawful stops. Both on land and in the water, officers are supposed to have reasonable suspicion that a vessel operator/ driver is in violation of some regulation. However, in some cases officers on the water can stop a boat at random to inspect equipment, safety registrations or fishing compliance. Many BUI charges start with these random stops. The second difference involves sobriety tests. Police officers use an array of field sobriety tests to gather evidence to use against DUI and BUI suspects. However, given that conditions on the open water – the weather, the sway of the vessel, etc. – authorities will use different methods of testing in BUI investigations than DUI investigations. The other difference is with regard to implied consent laws. For those on dry land, F.S. 316.1932 requires motorists to submit to a breath alcohol test if directed to do so by an officer, or else receive an automatic one-year suspension of driver’s license. However, boaters don’t need licenses to operate a vessel, so they can’t be at risk of losing one. However, their refusal to submit to chemical testing may be used against them in court, as noted by the U.S. Coast Guard. Specifically, 33 CFR 95.040 creates the presumption of intoxication if one refuses a chemical test after being directed to do so by an officer. However, as noted by the U.S. Coast Guard, refusal of a field sobriety test does not. It’s important to point out that BUI will count as a prior conviction for purposes of enhancements on any future DUI charge. If you are arrested for boating under the influence in South Florida, our Fort Lauderdale DUI defense attorneys can help you navigate the court system.